The Dog on the Tuckerbox is the story of Australia’s pioneers; the bullockies who worked the rough tracks, and of one dog’s unwavering loyalty to her master. 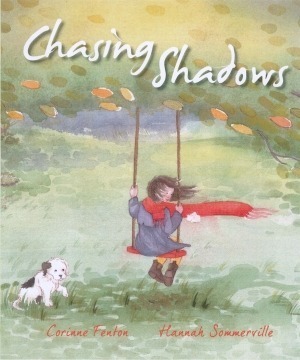 Chasing Shadows – Everyone feels sad sometimes, but when sadness lingers, shadows appear. Some of us, even children, chase shadows. Will a wriggly, mischievous surprise help Beth chase her shadows away?